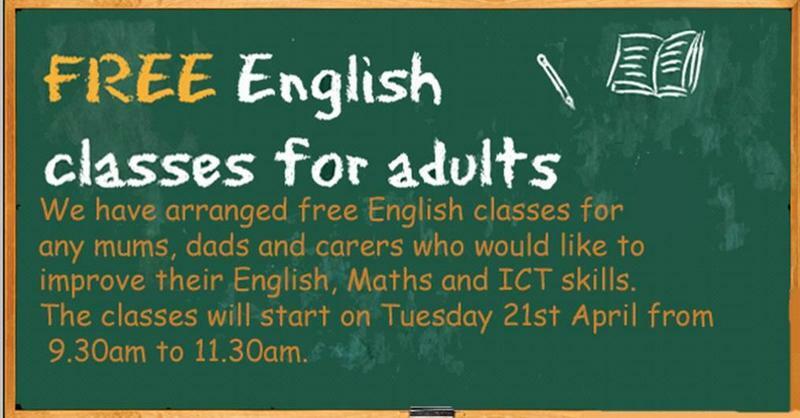 We have arranged free English classes for any mums, dads and carers who would like to improve their English, Maths and ICT skills. The classes will start on Tuesday 21st April from 9.30am to 11.30am. Places are limited to the first 12 applicants – you will need to complete an enrolment form and show valid ID. If you would like more information please speak to Mrs Tagliaferri or Mrs Tajrourti.